Chak Chak is the rice krispie treat of Kazakhstan. Totally irresistible and finger-licking good. 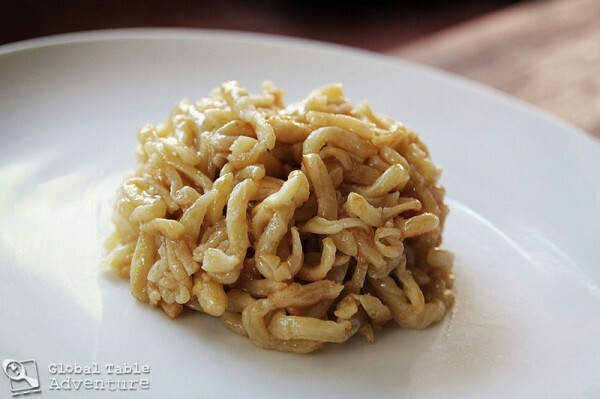 Fry up a batch of fresh noodles in an entire stick of butter and coat with sweet honey goodness – you’ll see what I mean. How could it not be? Plus, with Halloween around the corner, the time couldn’t be better to make chak chak…. after all, there’s nothing like putting a little international spin to your spooky dessert table… a spin that looks rather like brains! Gather 2 cups of fresh noodles. … in a stick of melted butter, over medium heat. 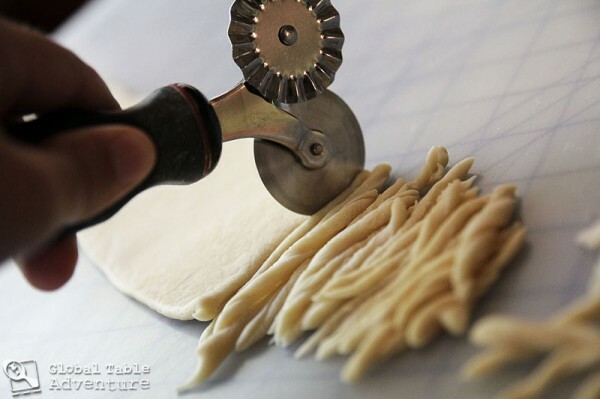 Toss continually until the butter coats all the noodles; this way they won’t stick. 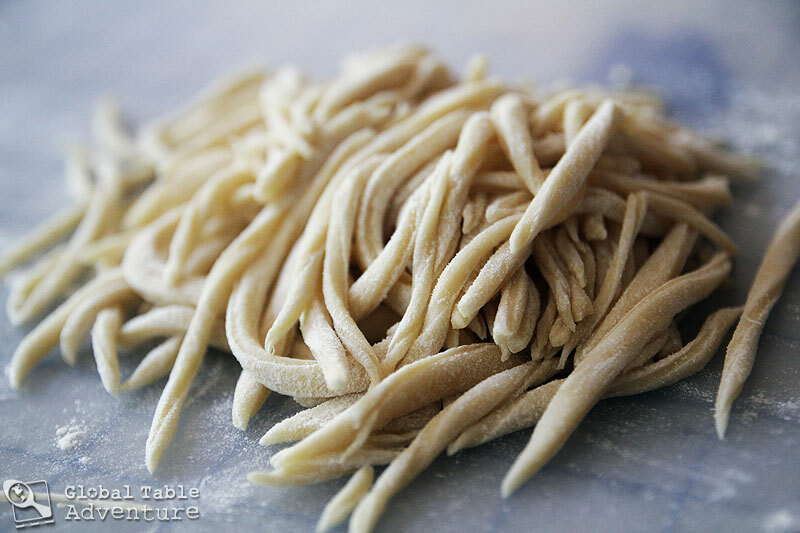 The noodle’s thickness will determine the cooking time. Mine took about 5 minutes. They are ready when they are a little crispy and golden. Eat a few straight from the pan. Then eat a few more. Set the rest aside. … and melt them together in a small saucepan. Let the mixture bubble away until all the sugar dissolves. 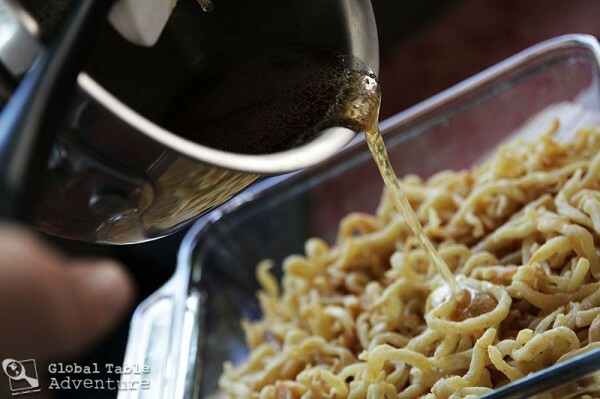 Pour over the fried noodles while still boiling. Toss to coat evenly. Dip your hand in cool water and shape the noodles into domes. The cool water keeps you from being burned and it keeps the honey from sticking to you. You can make small ones, like I did, or one large one. Either way is delicious. For sure. Serve at room temperature (if you can wait that long!). It comes out chewy, sticky, and sweet, with the barest hint of crunch. 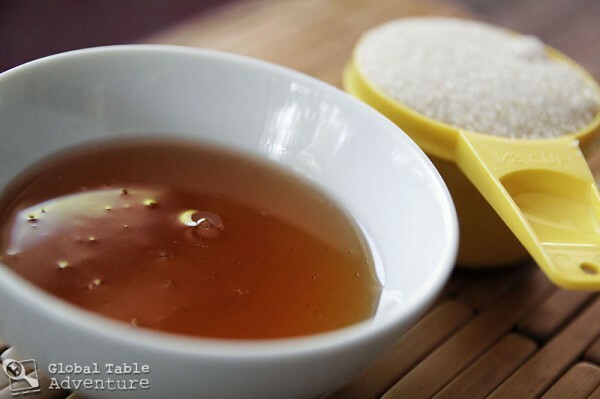 Enjoy this simple treat with a giant cup of tea. Chak Chak is the rice krispie treat of Kazakhstan. Totally irresistible and finger-licking good. 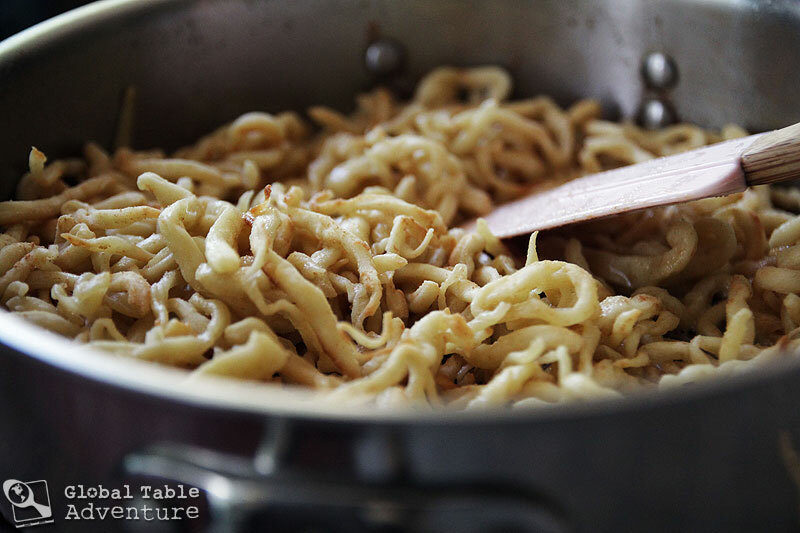 Toss the noodles in a bit of flour and place in the pot to cook until a little crispy and golden. About 5 minutes depending on noodle thickness. 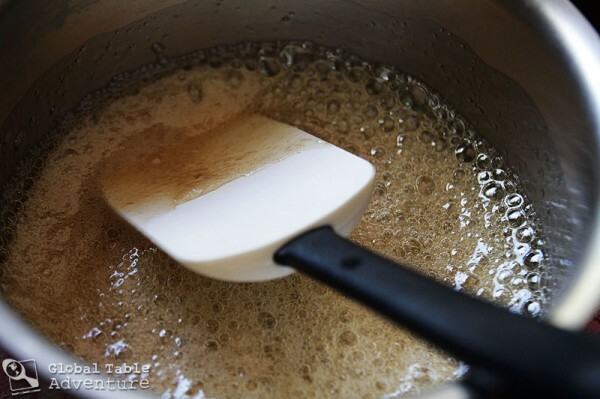 Melt the honey and sugar in a small saucepan over medium heat. Let the mixture bubble until all the sugar dissolves. Pour mixture over the fried noodles while still boiling. Toss to coat evenly. 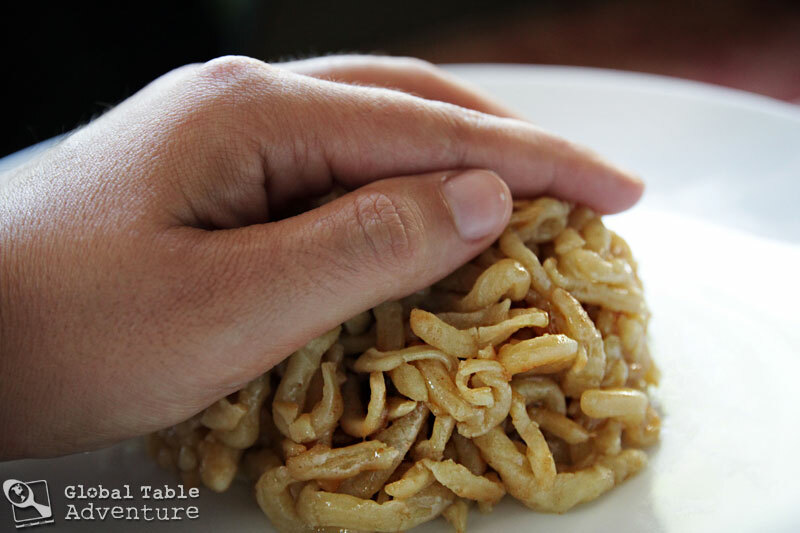 Dip your hand in cool water and shape the noodles into domes. Another way to present it – and a neater way for western expectations – is in a lattice of noodles and honey – sometimes with nuts and golden raisins. But anyway it is presented – in Kazakh mounds or teepees or built up lattices – it is really delicious and quite simple to make really – nice! Thank you Laura – your version sounds lovely.. especially with the nuts and raisins. I can see myself adding lots of things (especially cinnamon – although I didn’t see any Kazakh versions that did this).